We have recently moved! Our main office is in northeast Tallahassee off Thomasville Rd., just two miles north of I-10 (past Wal-Mart). 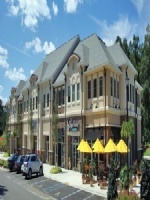 We are located in the Shops at Persimmon Hill, nearby Coosh’s and Flying Bear restaurants. Our office is open Mon. - Fri. 10 to 6, and weekends by appt. only.